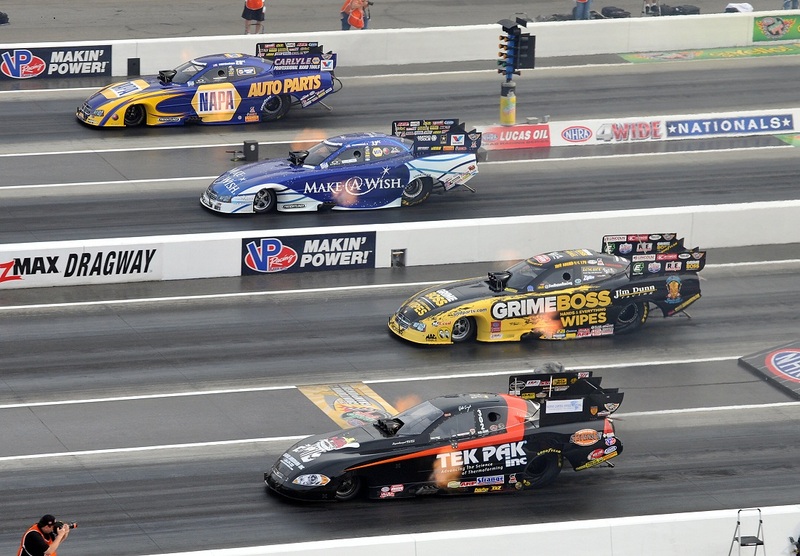 There are very few forms of motorsport that can compete with the overall intensity of Top Fuel Drag Racing. Watching Dragsters and Funny Cars that are pushing in excess of 11,000hp (thanks to nitromethane fed monster engines) run from 0 to 330+mph in under four-seconds is one of those things that can’t be put to words. And you’d think that something as wildly entertaining as that would be extremely hard to improve upon. Well let me tell you about the zMax Dragway in Charlotte, North Carolina. I say that because the zMax track is unlike any other in the United States. Rather than the traditional side-by-side drag racing, it’s set up with two drag strips side-by-side. That means four-wide drag racing and there’s literally nothing that can prepare you for 44,000hp firing to life at the same time. 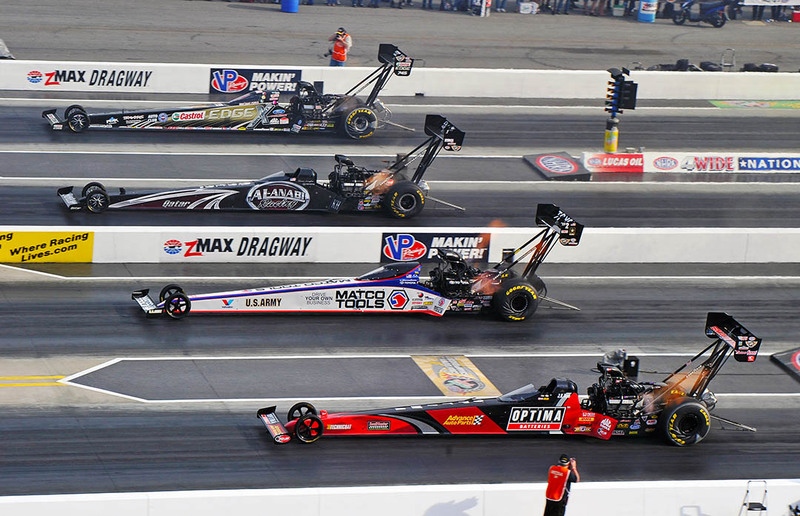 The zMax Dragway was built back in 2008 and has been a major stop on the NHRA circuit every since. It’s capable of holding as many as 30,000 spectators, including a total of 40 luxury suites for the high rollers to come watch the races in style. The track was built to accommodate that many people because it’s one of the most popular tracks in the country. And interestingly, the competitors feel the same way. While it’s quite a bit more dangerous having that many cars and that much horsepower racing at the same time, it’s also far more exciting! Here’s a highlight reel from the event showing the winners of all the main classes. 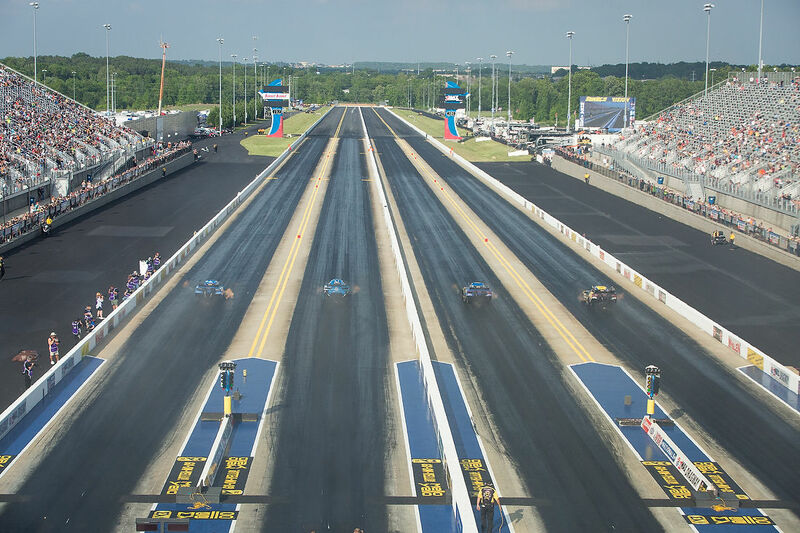 Prepare to add going to zMax Dragway to your bucket list.